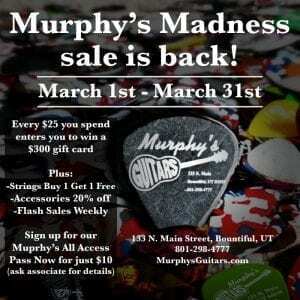 Murphy's Guitars | Bountiful, Utah Music Store | Guitars, Repairs, and more! Learn more about our great repair service from Guitars and Amps to Keyboards and Microphones. 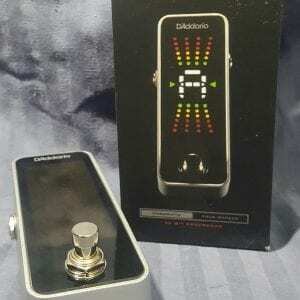 Latest news, events, discounts, and more. 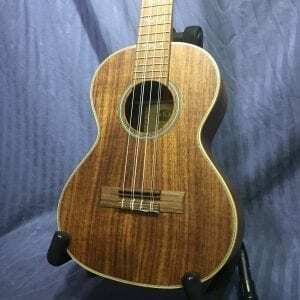 Follow our blog for everything Murphy’s Guitars. 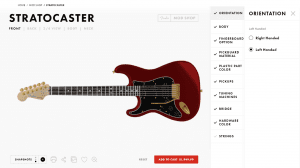 Get A Custom Guitar Or Bass This Holliday Season. 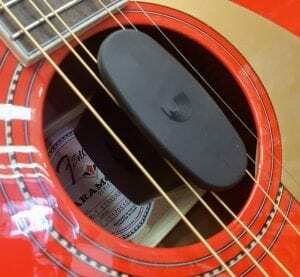 Do I need to humidify my guitar? Where can I get a piano keyboard or synth? 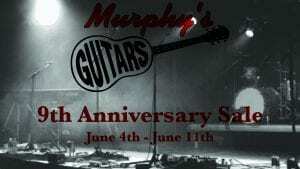 Murphy’s Guitars rolls out Rewards Program as part of annual Murphy’s Madness Sale. 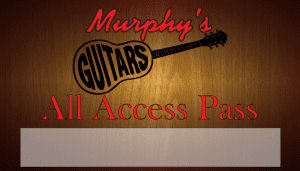 The All Access Pass will grant customers access to a number of great deals year round such as 40% off guitar strings, 10% off accessories, 3 free picks each month, $10 setups when you purchase a restring at regular price.As well as additional deals throughout the year. Mike Murphy was born in New Mexico, raised in Texas and transplanted to Utah where he taught at Viewmont High School for 37 years until his retirement in June of 2011.While at Viewmont, he developed a guitar program that is one of the largest in the U.S.
We offer many musical services from great musical instruments and gear (guitars, basses, ukulele, strings, and more) to guitar repairs, lessons, and concerts. Below are some of our featured services offered here at Murphy’s Guitars. We supply hundreds of products from guitars, basses, amps, straps, instrument cables, sheet music, strings, picks, and much more. And carry some of the top music brands around such as Fender, Ibanez, Seagull, Norman, LaPatrie, Guild, Alvarez, Crate, and much more. We offer repair work on acoustic and electric guitars as well as amplifiers, mixers, and keyboards. If you have a problem with your guitar, bass, amp, or other instrument, we are the ones to go to. We are the Certified Fender Repair Center in the area! Murphy’s Guitars has 6 studios for music instruction on guitar, bass, and drums with 10 teachers and over 250 students. Our instructors teach a variety of styles including rock, jazz, funk, latin, classical, country, and more. 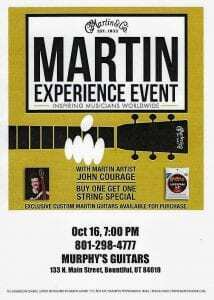 Murphy’s Guitars offers classes and concerts all throughout the year. From adult workshops and classes for all ages to Murphy’s Summer Concert Series, in-store concerts, and the annual MS Benefit Concert. 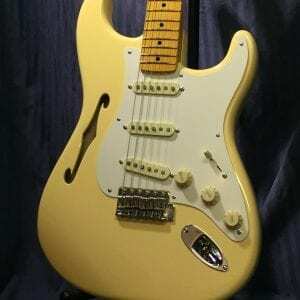 Murphy’s Guitars offers Financing and Layaway to help you take home your dream guitar. Don’t put it off any longer apply in store, or contact us to learn more about the programs we offer. 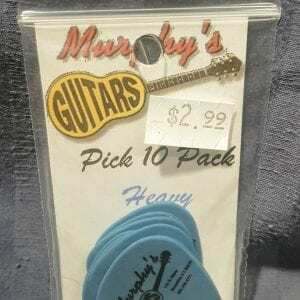 Murphy’s Guitars also buys & trades used gear. Looking to make the next step, but you’re short on cash? Murphy’s can help. Click the link to find out more & contact us. Bought a few ukes, strings and other things from these guys. Always great to work with. Staff is knowledgeable and helpful with out pressure. I'll continue to shop here over other big name places. 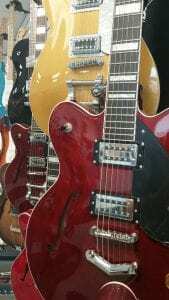 I’ve bought two guitars from here, and had a family member take lessons as well. Always impressed with their service and the friendly environment. I always like to ask quite a few questions, and they always answered them and were very patient with me. AWESOME place. Really great guys helping. They gave me good opinions and were super friendly. Great quality, good prices, excellent service. I was just replacing my strings and they looked at my entire guitar and fixed anything bent or not right. Definitley do recommend, will be going back. I actually live in North Ogden, received a new, what I would call, expensive guitar from an online dealer, and when I opened it up and began to try it out, I quickly noticed certain frets were buzzing really bad and after checking their return policies saw they were first going to have me take it to a licensed dealer to be checked first in case the neck shifted in shipping. Long story short, being extremely disappointed and upset that it could be defective, started calling several luthiers near me that were either extremely rude and made it clear they didn't have time or care to hear about my problems, basically interrupted and said bring it in, I'll get to it when I get to it. I called Murphy's after seeing all the good reviews. Well let me tell you folks, if there were more stars would give them. Not only did Mr. Aaron listen to what I had to say, I experienced empathy, patience and kindness and was told to bring the guitar to him first thing in the morning (already after 5 pm when I called, I-15 traffic no way would make it tonight) and he would look at it and give me his opinion on if it was a simple adjustment or I should return the guitar. I felt not one second that I was bothering him. I didnt even purchase the guitar from Murphys but was treated as if I did. Please, if you need a new instrument or maybe a repair or adjustment, look no further. This kind of service is so rare and when found needs to be supported and rewarded. I am now willing to spend the gas to drive to Bountiful from now on to even buy a pack of strings because of this. Thank you for treating me like a human being. Took my Bass in for some repair work. These guys are friendly and helpful. They fixed my Bass for a very fair price, and got it done quick! It’s nice to find a good local guitar shop. I highly recommend checking them out. 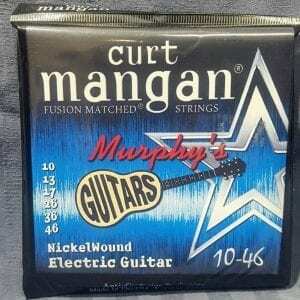 ive sent 2 friends to see Mike at Murphys guitars and they both are still loyal customers. 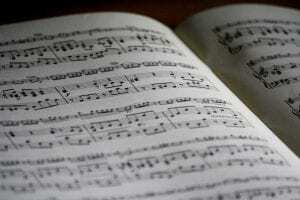 I have no musical talent but would refer anyone that does here for personalized service. LOVE, LOVE, LOVE Murphy’s Guitars. The staff is top notch, great products, fair pricing and fair values for trades. Just bought a new Martin (my dream guitar) and I am very satisfied with the guitar as well as the experience. I’ve purchased three guitars from them and will continue my relationship with them. Buy local! You can tell the workers love being there, they are always so happy to help. The vibe is great! Fantastic customer service! I have a bass that basically needed to be rebuilt. Although there were challenges procuring all of the parts they communicated well and did a fantastic job!! Great place! Nice atmosphere and knowledgeable staff make this the perfect spot for all your guitar gear. Murphy's guitar has been a wonderful staple in the bountiful area for as long as I can remember. They have wonderful friendly staff that has helped me out with my needs from intstruments to recording to repairs. They support not only music in the community they also support the community and have contributed to the growth of down town bountiful. They are amazing. Gave these guys a shot based on their website and reviews. Very glad I did. I started with a pretty detailed email of my needs. Got a prompt and cool response so I made the Trip to Bountiful. Aaron called Fender and got a hand drawn schematic for my broken (bad push/push tone pot) early 90's Carvel/Jackson TX Custom. Got the part and fixed it superbly. I had forgotten how much fun this guitar is. Upon the success of this repair, I took an old Fender M80 Chorus which I had buggered attempting a couple pot replacements. Again, Murphy's (Joe the Amp Guy) killed it. Now, contrary to at least one review, they applied some discounts to both parts and labor. Probably because I was such a stellar customer, kind, cheerful, patient, not afraid to display my ignorance (try it, it pays off). So now I have a whole new rig that I haven't been able to play in years. Great fun. Ironic that when I opened the case of this Tele (Sea Foam Green, just horrid or really cool depending on your POV) and Owner Mike said, "Hey, we used to sell those at Guitar City" (Centerville). That's just where I bought it. In closing, it's still worth the drive to Davis County for guitar stuff. Thanks fellas. Great and very helpful employees! 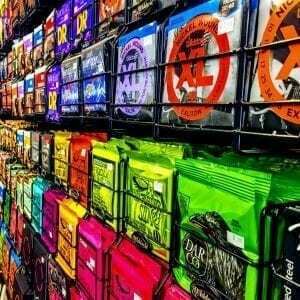 I always love to shop here! Great guy working behind the desk. Cool store. I love this place! The people who work here are all amazing! I spaced that I would not have time to go shopping for my anniversary gift for my husband. I ran into Murphys and they went above and beyond to help me. They called all of the reps they could in the valley to find a new item that they knew would be perfect for my husband, and had it delivered the same day!! My favorite guitar shop!! Very helpful and knowledgable. Great customer service. I feel like my questions were professional addressed. It is a pleasure every time I go into the store. I was blown away by the service at Murphy's Guitars. I brought in two vintage acoustic guitars from the late 60's that my dad owned and played all his musical life. 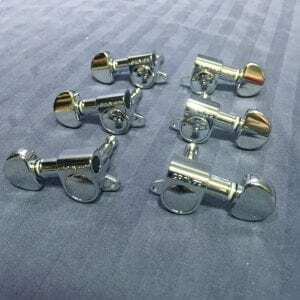 They hadn't been played for a few years (nor had they been maintained properly), so I needed them "fixed up" and shipped to my home in New York. I was flying home the next morning, so I was in a pretty serious time crunch! Mike Murphy understood what I wanted, and told me that although he could do the repair work on these guitars, he recommended that I ship them first and get the work done in NY. He further explained that the humidity difference between SLC and NY would mean that a repair/restoration done in the dry mountain climate would leave the guitars in less than ideal condition when taken into the more humid environment on the east coast. Mike found a couple of spare guitar boxes in the back of the store and spent over an hour helping me pack the guitars properly in their cases with bubble wrap around the fretboards and headstocks. He then gave me solid recommendations for a shipping company nearby that could handle the shipping/insurance properly, as well as a reputable luthier in NY that could manage the restorations. All of this he did for FREE, and I walked out of the shop having only paid $1 for a replacement plastic tip for a worn capo (saved $25 by not buying a new capo, by the way).So, what can I say? You've got to have a ton of respect for a small business owner that will pass on an opportunity to sell a "city boy" service that he's asking for (but might not be ideal)... and then to spend a couple of hours giving him a ton of advice at no cost is simply above-and-beyond awesome service.The entire staff was great, and everyone I spoke with in the shop was a guitar enthusiast and knows their stuff. The store was recently expanded, so they have a solid inventory of both acoustic and electric. If I'm anywhere in the mountains and have an any guitar needs whatsoever, I'm bee-lining it straight to Murphy's. This is my favorite guitar shop on the Wasatch Front. Friendly and knowledgeable staff and it's locally owned. They also sponsor all sorts of events to promote local music and local business. Definitely shop here! I’ve usually had a very good experience with this store, as well as buying a few guitars from here over the years. Store is run great, as well as good employees. Although the employees try to be very helpful and usually always have an answer to any question I’d have, they often answer these questions in a very rude way, making me and whoever I’ve taken with me to the store feel quite stupid. The employees also seem to frown upon letting the customers roam around the store on their own. This is usually what I prefer to do, especially when it comes to guitars. However last time I visited the store, one of the employees followed me around the entire time, telling me all about products and everything when I clearly didn’t ask. 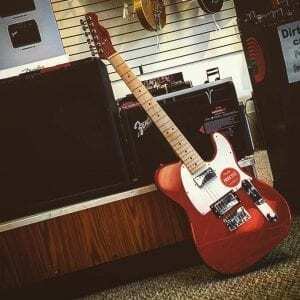 I appreciate the workers initiative, but I don’t enjoy being told what product is best, how mine is inferior, and what I should and shouldn’t buy at a guitar store. It seemed like a nice place, the store itself was pleasant. The only drawback I had is I was there for about 30 minutes browsing guitars and not a single employee acknowledged me. 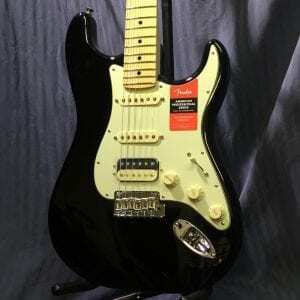 I was looking for a good guitar for a begginer, and since I don't know much about guitars it would have been nice to get some input. In the end I didn't end up buying and I'll probably go somewhere else. The last few times I've been here, I was treated poorly. I had a new pickup put in my guitar here only to find that now my neck pickup isn't working. 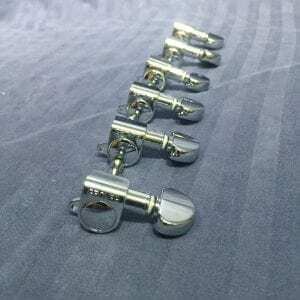 Also, they didn't tighten the tone and volume pot washers. Go to House of Guitars in Salt Lake if you have a car. This place not inly has bad vibes, but poor customer service as well as high prices. Murphy’s Guitars showcases classes, concerts, and workshops throughout the entire year for all ages. From our Murphy’s Summer Concert Series to in-store concerts, and the annual MS Benefit Concert. Find out more by clicking the Learn More button below. 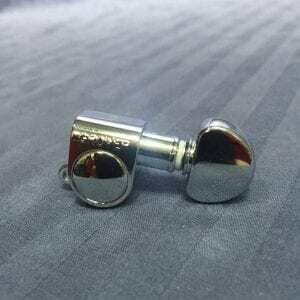 Feel like your playing has stalled? Need a new guitar to replace the *ahem* injured one? 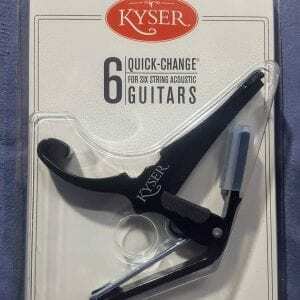 Need a guitar repaired? We can help with all this and much more! Come see us today or visit MurphysGuitars.com #guitar #guitars #humor #murphysguitars #IsThisFixable? Happy April fools, our stock of instruments is no joke, so if you need a break from the tricks and jokes, come say hi! Look what rolled through the repair shop today. This guitar belongs to the world renowned rock group @thekillers. Thanks for allowing us to work on this incredible guitar!